We are always glad to answer any questions you have about the cost benefits of installing a tank or tankless water heating system for your home. If you would like to know more about any of the water heating systems we install, call OASIS Heating, A/C & Refrigeration, Inc. today. We can also send someone over to look at your current water heater and give you our professional advice about what type of water heater best suits your needs. If you are trying to decide whether to install a new high–efficiency tank or tankless water heater, there are some important variables to consider so that you get the most out of your new investment. Given the right conditions, installing a tankless water heater could be worth the initial investment in energy savings. However, tankless models are not for every home. Call OASIS Heating, A/C & Refrigeration, Inc. for more information on tankless water heater installation. If you aren’t sure about the performance of your current tank water heater, our water heater technicians can inspect and test the efficiency of your water heater and provide recommendations for a possible upgrade. Many of the newer models are a lot more efficient than older ones. Call us if you want to know more about out tank water heater installation and replacement services. Here’s an excellent alternative to the standard water heater that will conserve energy without sacrificing comfort. Heat pump water heaters work similarly to standard heat pumps: they draw heat from the air in one place and release elsewhere. In this case, they release the heat into the water tank. Call us for more information or to arrange for water heater service. This is a type of water heater that combines the benefits of a storage tank water heater with on–demand technology. It heats up water as you need it, which provides terrific energy savings over the conventional tank model. But it also keeps reserve hot water supply that’s ready immediately, so you won’t have to wait long for it to reach your taps. We install and offer other services for hybrid water heaters. Are you having a tough time figuring out whether to choose a gas or electric water heater? If you don’t yet have a natural gas hookup at your home, then you may want to consider an electric water heater. They are just as powerful as gas–based systems, and you can rest easy knowing that you don’t have worry about natural gas in the home. 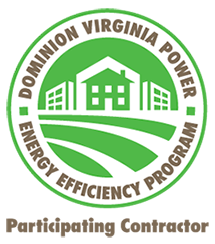 We offer comprehensive electric water heater services throughout Northern Virginia, including the installation of new electric water heaters as well as the replacement of old ones. Moreover, we also offer electric water heater repair and maintenance. Your hot water heater is one of the major appliances in the home. There would be no refreshing morning shower without it. But selecting a new model for your home can be a challenge if you’re not sure what to look for. A gas water heater makes for an excellent, energy–efficient solution. We can make certain that yours is professionally installed and serviced. We offer comprehensive gas water heater services throughout the area. Call now to schedule service. Maintaining any type of water heater is crucial to getting the most out of the equipment. 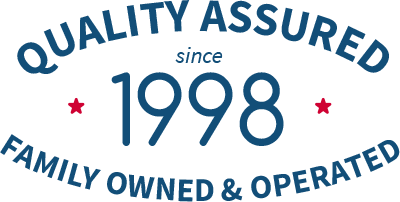 The qualified technicians at OASIS Heating, A/C & Refrigeration, Inc. are equipped and trained to handle emergency repairs and routine maintenance tasks for all types of tank and tankless water heaters. Scheduling a yearly check–up for your hot water heater is an important part of preventive maintenance. When you schedule a water heater maintenance visit with one of our expert plumbers, we will inspect your entire system, test the performance and efficiency levels, and make any needed adjustments or repairs. You can count on the professional plumbers at OASIS Heating, A/C & Refrigeration, Inc. to maintain your water heater so that you have the potential to continue to save energy. You’ve moved into a new house, but it doesn’t have a water heater yet. That’s something you need to change, pronto! Or you have an aging water heater that simply isn’t cutting it any more. Something else that needs a fast response. All you have to do is contact our water heater technicians and they’ll find the right new unit for you and have it set up, fast. Call the water heater experts at OASIS Heating, A/C & Refrigeration, Inc. for your next tank or tankless water heater service. Our technicians are equipped and trained for the installation, maintenance, and repair services on all types of tank and tankless water heaters. Our expert staff members proudly serve our customers with the highest quality craftsmanship and customer care. Call us today and let us know how we can best meet your water heating needs.